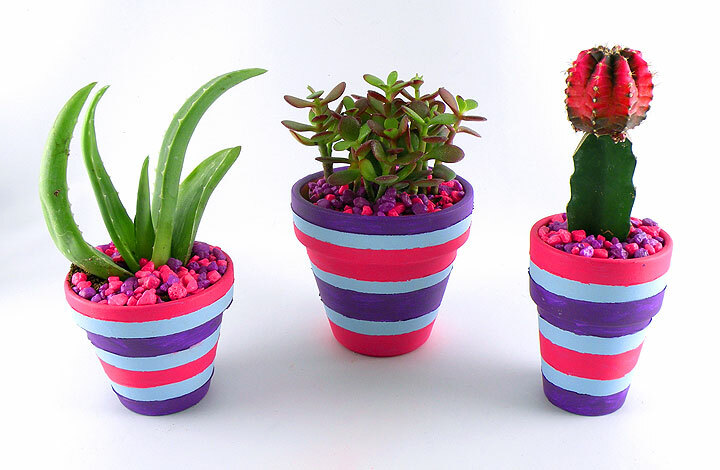 As a child, I thought the coolest plant in the world was a cactus, especially the grafted cactus with the colorful top. I would always ask for one for my birthday but I could never seem to keep it alive. I guess I was too young to realize that this type of plant does not need to be watered every day. I saw these plants at the nursery the other day and thought it would be fun to create my own cactus planter for these fun little guys now that I understand how to take care of them. I wanted to make the cactus planter fun and vibrant so I used bold paint and bright aquarium rocks for an added pop of color. 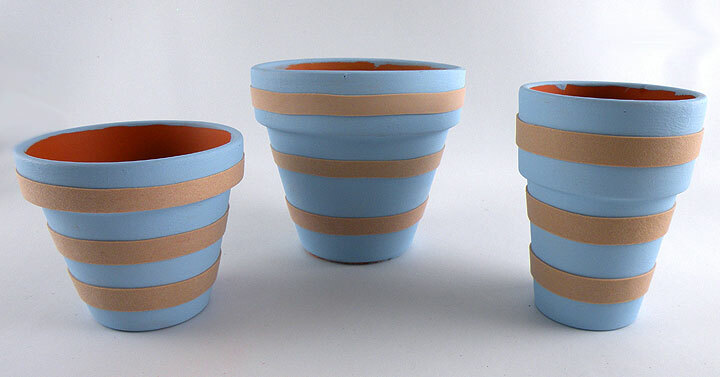 I also used large rubber bands create the painted sections of the terracotta pots. Here’s how I did it! 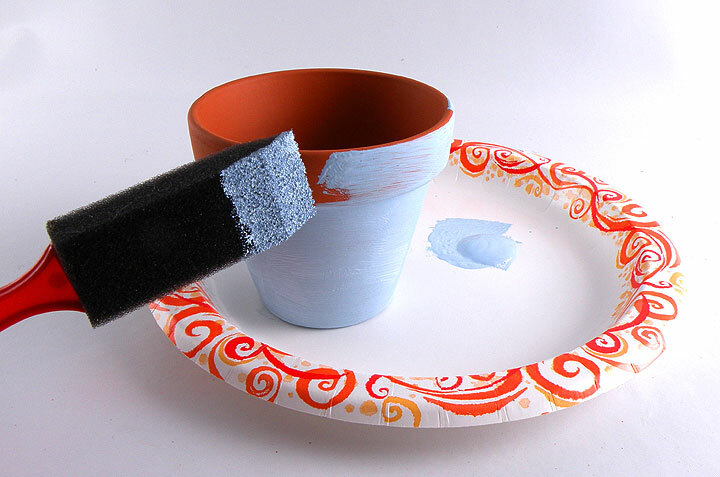 Paint the pots with acrylic paint and the foam brush. Let dry. 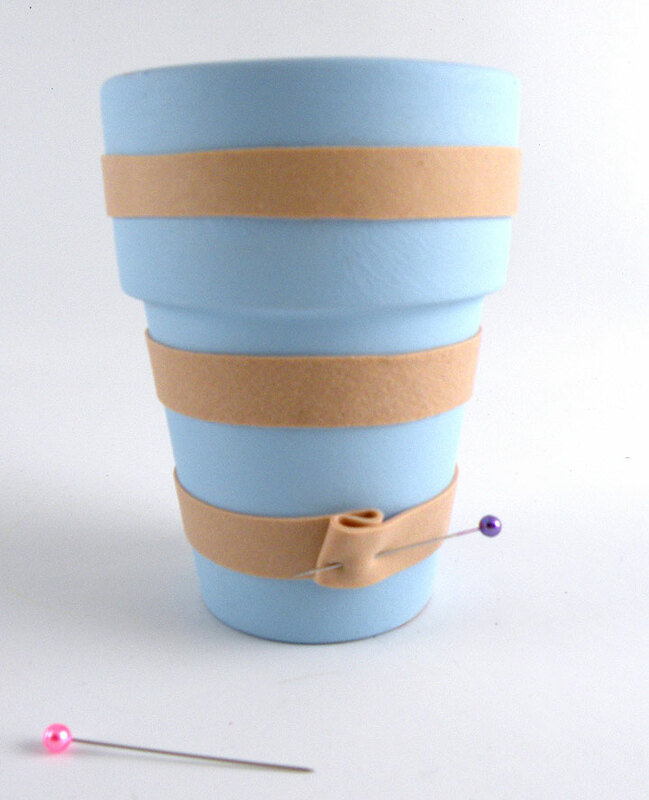 Place wide rubber bands around the pots in configuration you would like to stripe to appear. The area covered by the rubber bands will remain the base color. 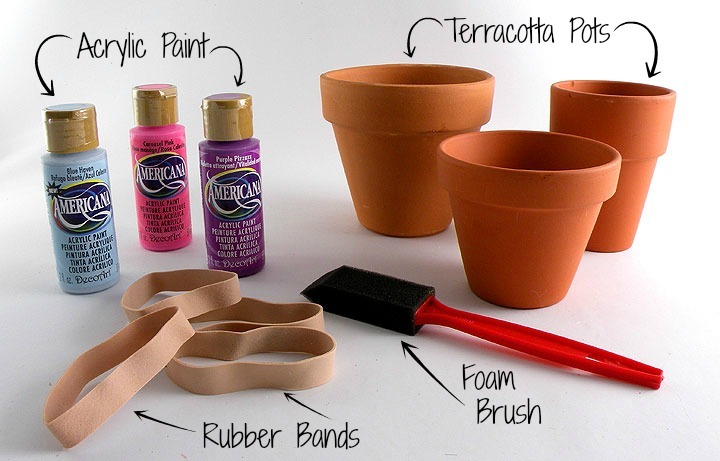 Make sure the rubber bands are tight so the paint does not bleed underneath them. If there are loose, you can use a pin to cinch the rubber band to tighten it. 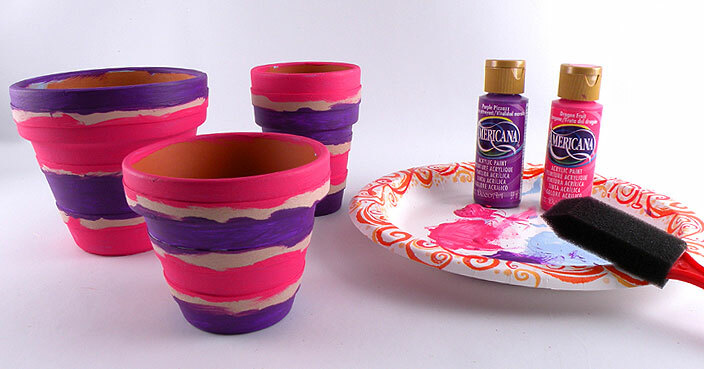 Paint the pots with the different colors to make fun stripes. Let dry completely. Carefully remove the rubber bands to reveal the stripes. 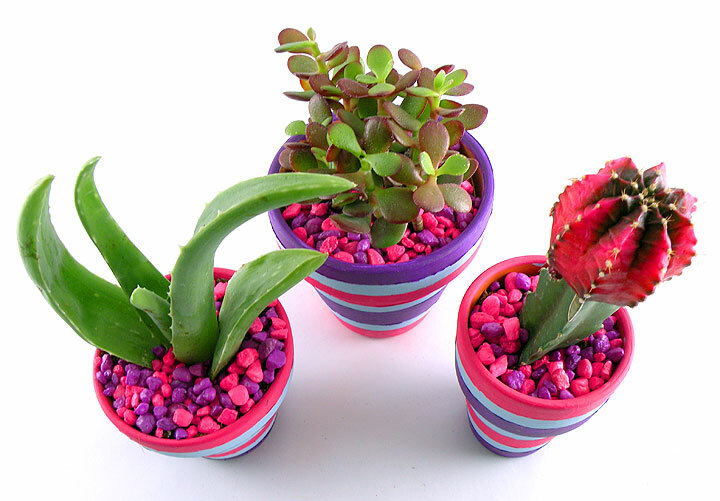 Place the cactus in the pots and add colorful aquarium rocks.